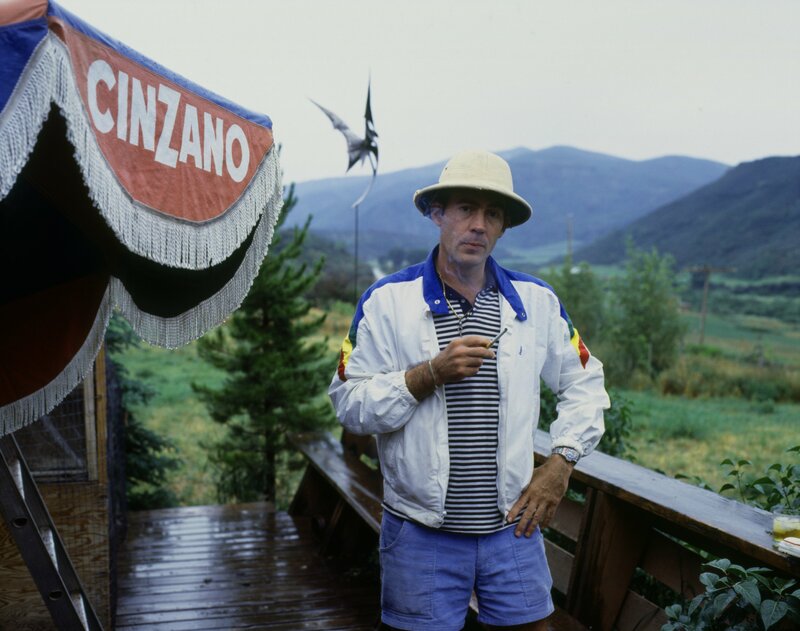 Hunter S. Thompson prized his peacocks. So much so that the late, lamented author of Fear and Loathing in Las Vegas once shot a maimed fox that got too close to a couple in his personal flock. The descendants of those birds are alive and well and living at Owl Farm in Woody Creek, Colorado, the homestead where Dr. Gonzo wrote while chain-smoking Dunhills through gold-tipped cigarette holders. Thompson, who sometimes used the alias Sebastian Owl, liked to play with explosives at his 42.5-acre spread. He blew up a Jeep Wagoneer there after packing it with dynamite and dousing it with gasoline. Then he used it for target practice for hours at a time. He raised his son, Juan, there. He hosted Jack Nicholson in the 1980s and Johnny Depp in the ’90s. 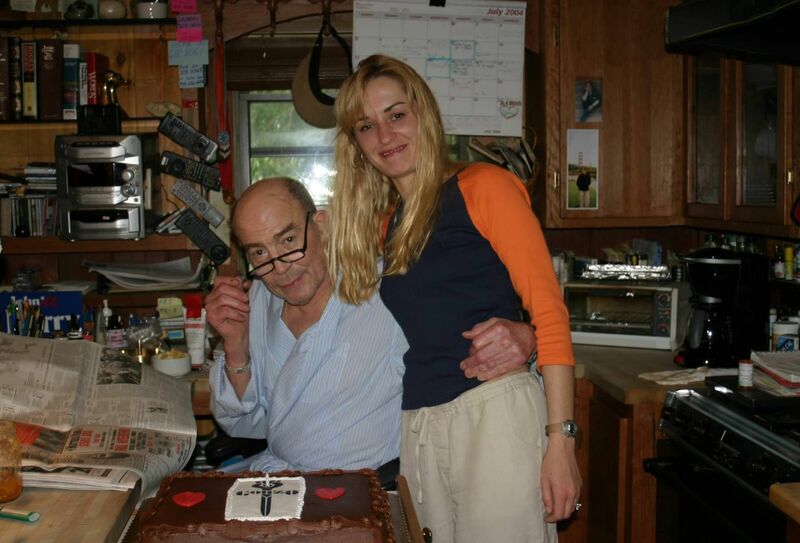 He accidentally shot his assistant, Deborah Fuller, there in 2000. He and his second wife, Anita, honeymooned there in 2003. Two years later, he died in the kitchen after shooting himself in the head. Suicide, the coroner called it. Last week, I bummed a ride from Aspen to Woody Creek. I wanted to talk to Anita, who still calls Owl Farm home. Next year, she hopes to open the place to the public as a part-time museum. Visitors, maybe five or fewer a day, will be allowed to book tours online for free. Hunter’s cartoonist friend Ralph Steadman set up a memorial fund to bankroll tours for Thompsonphiles who pass Anita’s vetting process. No souvenir shop, so don’t get your hopes up for a Steadman coffee cup. And fans of Fear and Loathing may be disappointed to learn there will be no on-site dispensary. If all goes according to plan, you’ll be able to sign up for the tour on the Gonzo Foundation website. Anita will fix you the same breakfast she always made for Hunter at 2 in the afternoon: grapefruit, scrambled eggs, juice, coffee, and fresh fruit suspended in Jell-O, with gin and Grand Marnier drizzled on top. After you’ve more or less digested this feast, Anita will lead you on tour of the house and grounds. The house is a two-story log cabin, with “many, many rooms,” says Anita. “A specific count is not advisable, as Hunter had some of them built off the grid.” The rooms are jammed with books, art, vinyl albums, memorabilia and Hunter’s words—his handwritten notes are everywhere. Visitors will be shown the barn, which houses a green Cadillac (Anita notes that the vehicle “still technically belongs to April and Lyle Lovett”) and an airplane simulator. Hunter’s fabled red shark convertible is in the garage. Off-limits: the bedroom, and areas where firearms are stored. To this day, Anita says Hunter hajjis still sneak onto Owl Farm. “Hunter had a beautiful relationship with his readers,” she says, “but he shot at anybody who tried to trespass. Just warning shots, thank God.” Thompson used to perch by an open window in his “catbird seat” and fire into the air when anyone crossed the property line. Today, Anita calls the sheriff first, but has no compunction about following Hunter’s lead. Though Anita says she always intended to turn Owl Farm into a museum, until recently she didn’t even consider the possibility of showcasing her late husband’s belongings. “After Hunter died, it brought me comfort to not move anything,” she says. “It took me years to even move his toothbrush from the bathroom.” A year after the memorial service, she left Woody Creek for New York City, where she attended Columbia University. She received a B.A. in American studies in 2009 and returned home intent on preserving her husband’s legacy. Hard-core Thompson fans may be disappointed to learn that their hero’s basement office is no longer an office. An exact replica of the infamous “War Room” (featuring a taxidermied bat, IV bags on a pole and a Richard Nixon mask) appeared in Where the Buffalo Roam, the 1980 film in which Bill Murray played the “legendary outlaw journalist.” When back and hip ailments made climbing the stairs too painful, the kitchen and living room became Thompson’s writing salons. All of which means Dr. Gonzo’s acolytes will soon be allowed to sit in his final writing room and bask in his presence, between spoonfuls of his favorite Jell-O.